I'm afraid to go on the cruise! Can I cancel and get a refund? But does NCL owe her anything? Freburger’s case is a reminder to travelers: Safety conditions and entry requirements to foreign countries aren’t static. Once you book your journey, it’s essential to continue to regularly monitor your destination’s situation as it can suddenly change. Had Freburger done so, she would have learned about the problem that made her too afraid to go on the cruise much earlier. And she would have saved herself an awful financial headache. Why was she too afraid to go on the cruise? In May 2017, Freburger decided to take her daughter and granddaughter on a cruise to the Bahamas and Cuba. The ship was set to sail in March 2018. “We would be celebrating my granddaughter’s 10th birthday on the cruise,” Freburger recalled. Throughout the rest of 2017, the trio was happily anticipating their voyage. That all changed in January 2018. At that time, Freburger came across an article about a troubling phenomenon affecting U.S. diplomats in Havana. Multiple diplomats were suffering from symptoms that were similar to patients with traumatic brain injuries. But none had been in any type of physical accident. Horrified, Freburger began researching the unusual situation and found many articles detailing the progression of events. The crisis continued to escalate over a period of several months. The same debilitating symptoms struck additional U.S. government employees in Cuba. Freburger began to reconsider the family’s cruise. And she continued to research the situation. As a result of the escalating problem, the U.S. embassy evacuated many of its employees from Cuba and issued a warning in September 2017. Over the past several months, numerous U.S. Embassy Havana employees have been targeted in specific attacks. These employees have suffered significant injuries as a consequence of these attacks. Affected individuals have exhibited a range of physical symptoms including ear complaints and hearing loss, dizziness, headache, fatigue, cognitive issues, and difficulty sleeping. The warning went on to explain that the origin of the attacks and the culprits had not been identified. As such, the Department of State recommended that U.S. citizens not travel to Cuba. One thing was clear from Freburger’s research — she did not intend to cruise to Cuba with her family. Will insurance pay if you’re too afraid to go on the cruise? Freburger made the decision to cancel the cruise just 54 days before her scheduled voyage. She realized that she was in the 75 percent penalty zone for cancellation. But, having purchased the travel insurance offered by NCL, Freburger felt confident she would soon receive a refund. Certainly, her fears of this strange, invisible brain attacker in Cuba should be a covered reason to cancel the cruise, she reasoned. As most trip insurance policies are, NCL’s Booksafe Travel Protection Plan is a named perils insurance policy. That is to say, you are only covered for specific events or conditions that cause you to cancel your cruise. If your reason for canceling is not listed as one of the covered reasons, you can assume you won’t be covered. Not surprisingly, the peculiar happenings in the U.S. embassy in Havana were not a covered reason to cancel the cruise. Soon Freburger received the notice from Aon, the underwriter of the policy, that she was not eligible for a refund for her canceled cruise. However, there was a bit of good news from Aon. The NCL policy has what it calls a cancel for any reason clause. And although a cruise passenger may not qualify for a refund, if they have purchased the travel protection they can still receive a cruise credit. That cruise credit will be 75 percent of NCL’s cancellation penalty. Freburger would receive $423 in cruise credits per person. Freburger, though, did not want a cruise credit. She wanted her money back. So she composed her complaint to NCL and asked for a full refund. Cruise lines are not in the habit of offering cruise refunds when a passenger cancels – no matter what the reason. And Freburger quickly received a rejection of her request for a refund. Undeterred, Freburger then contacted the Elliott Advocacy team to ask if we could reason with NCL and obtain her refund. I went over Freburger’s paper trail and also researched the timeline of the strange events in the U.S. embassy in Cuba. Unfortunately, the facts of Freburger’s case pointed to an oversight in her own travel planning. 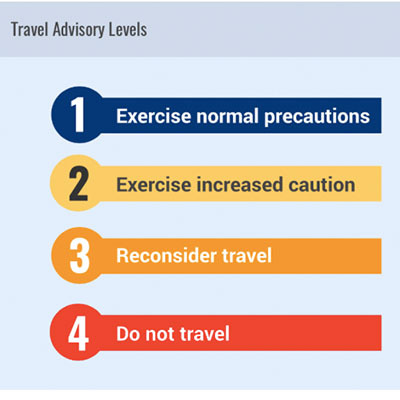 In September 2017, the U.S. Department of State had released a level 4 warning recommending U.S. citizens not travel to Cuba. And in October 2017 the State Department issued a reiteration of that level 4 warning. All the information that Freburger needed to make a penalty-free cancellation for this cruise was available on the U.S. State Department after September. Unfortunately, she never looked. The Norwegian Sky did sail to Cuba on Freburger’s cruise dates — with no one reporting injuries from this mystery illness. And we know from Kevin Roher’s unfortunate tale of the Norwegian Sky sailing home from Cuba without him, that the ship sailed on other occasions as well. I was hoping Mr. Elliott would address this situation in his column. I felt that with some public exposure they would settle with me to avoid negative publicity. I originally wrote to him with that strategy in mind. But that isn’t what the Elliott Advocacy team is here to do. We do not try to force companies into bending to our will. We mediate cases based on established policies and regulations — we are here to right wrongs. In this case, NCL followed its established procedures, as did Aon. Freburger was entitled to the cruise credits that she received as per the terms of her cruise contract. Asking NCL about travel to Cuba: Should travelers be afraid to cruise? But I did contact NCL about this case. I was curious if the cruise line had been hit with other cruise cancellations as a result of the state department warnings. Our friends over at NCL did not report any unusual cancellation rate. It would seem most passengers are continuing to travel on their cruises to Cuba as planned. As you can imagine, we receive numerous requests like these and unfortunately cannot set the precedent in this case. The earlier resolution as per the contract will stand. No matter where you intend to travel, if it involves an international destination, remember to always and frequently check the Department of State’s website. The Before you Go section has a plethora of useful, interesting and even lifesaving destination information. Should NCL have allowed Freburger to cancel the cruise without penalty over her fears?